Should runners use NSAIDs when they have plantar fasciitis? Now because plantar fasciitis begins with an inflammatory process you might want to take a medication that will help fight the inflammation. Non-steroidal anti-Inflammatory drugs commonly referred to as NSAIDs are one of the most often used drugs to treat plantar fasciitis. It does make sense that if you have inflammation of your plantar fascia you might be able to treat it with an anti-inflammatory medication. But there are a few things that you should know about anti-inflammatory drugs as they relate to the treatment of plantar fasciitis in runners. The first thing you must know about anti-inflammatory medications and plantar fasciitis is that no medication alone will cure your heel pain. Although, plantar fasciitis isn’t an inflammatory condition, it is also a biomechanical problem. It isn’t going to go away if you only treat one part of the problem. If you break your arm it’s going to hurt, you take Tylenol and all your broken arms are going to hurt less but your arms are still broken. You have to realign the bone and let it heal back together if you want to feel better permanently. Healing your plantar fascia is a similar situation, you could just treat the pain, you could just treat the inflammation but to actually get better though you have to treat the root cause of the condition. The second thing that you have you to understand about the anti-inflammatory medications is that you have to take these drugs consistently. If you take the anti-inflammatory drug medication such as (such as Aleve®, Motrin®, or Ibuprofen) only when your heel hurts, you’re just using it as a pain reliever. Taking intermittently NSAIDs won’t really work as a true anti-inflammatory medication very effectively. Now all of the currently available over the counter anti-inflammatory medications have a dual purpose and a dual action. If you take them intermittently and there’s a low level of anti-inflammatory medication in your bloodstream, it will basically work like a pain reliever temporarily and sometimes a pain reliever can last up for to 8 hours however you have to take the anti inflammatory for several days (if not weeks) in a row to accumulate enough of the medication in your bloodstream before the anti-inflammatory function of the drug will actually start to work. You have to remember that you have to do it consistently. If you’re going to take anti-inflammatory to treat your inflammatory component of your plantar fasciitis, you must take the medication consistently for 10 days or 2 weeks. This means that if you’re taking Ibuprofen and you expect to have a true anti-inflammatory effect, you need to take your 600 or 800 mg dosage (prescription strength) doses 3 times a day. Every day for about 10 days and if you miss a dose during that period, the medication reverts to working only like a pain reliever because the level in your bloodstream drops significantly. Never ever do this without talking to your doctor, those are prescription strength doses. This is one of the reasons that Celebrex has become so popular as anti-inflammatory medication because it only has to be taken once a day. It’s much more effective at much lower doses than other anti-inflammatories. In fact, one Celebrex capsule is equivalent to about 12 Ibuprofen tablets. It’s much easier on your kidneys and it’s much easier on your stomach. It’s also a lot simpler because you only take one thing a day and then your kidneys have a lot less of it to remove. I don’t know about you but I personally find it very difficult to take medicine inconsistently. Yes, I’m a doctor, I understand the importance of taking medications as prescribed but it’s very difficult for me to remember to take any medication 3 times a day without missing the dose. For people who take like an 81 mg aspirin every day, it’s rare that they’re going to go for a month or even a week without missing a dose even if they’re taking them once a day. It’s plain difficult to remember to take medications really consistently and if you have to take it once a day it’s obviously a lot easier than to take it 3 times a day. Celebrex is a prescription medication so you must get a prescription from a doctor before you can take it and Ibuprofen and Naproxen are both over the counter but those doses that are over counter doses are basically not sufficient to really do what you need when you have plantar fasciitis so you still have to talk to your doctor before you take prescription level doses and those other medications. The other thing you have to know is that anti-inflammatory is really only helpful in a very early stages of plantar fasciitis because the early stages are the ones rooted in inflammation. If you’ve had heel pain for only for only a few weeks, it may be beneficial to take a medication that helps stop inflammatory process. If you decide to take one of these medications, you must take it consistently if you’re going to have any hope of the true anti-inflammatory benefit in speeding your recovery. If you’ve had heel pain or plantar fasciitis for months or years, the anti-inflammatory medications are way less likely to be of any benefit. Advance chronic cases of plantar fasciitis are more often termed “fasciosis” not “fasciitis”. In these late chronic stages, there’s no inflammatory component that work. Fasciosis is the degenerative process not an inflammatory process and as such is not necessary to take an anti-inflammatory medication when the inflammation doesn’t really even exist. It’s different, it’s not an inflammatory process, it’s a degenerative one. So why would you take an anti-inflammatory medication to treat that? It just wouldn’t work. 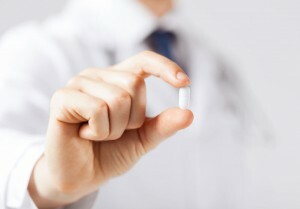 Why runners should think twice about taking NSAIDs? Ibuprofen is often referred to as “Vitamin I” by marathon runners and triathletes. I personally spotted ibuprofen tablets on the road on nearly every marathon or Ironman triathlon which I raced and usually the tablets have been sprinkled and dropped on the sidewalk just before some aid station presumably by some miserably sore athlete hoping to keep on going and although it’s popular, it doesn’t mean it’s a good idea. NSAIDs are the most commonly consumed over the counter medication. The anti-inflammatory drugs include Aspirin, Ibuprofen, Naproxen and some others and because these seemly harmless drugs can relieve minor aches and pains while also decreasing inflammation, they’re very popular among endurance athletes. I have had dozens of patients and running buddies tell me that they routinely take 600 or 800 mg dosage of Ibuprofen after their intervals and speed workouts, usually to try to decrease the delayed-onset muscles soreness. This can work but it comes at a price and there are really two good reasons why you might think twice before popping those pills. The first is that NSAIDs slow tissue healing. The very first phase of healing any wounded tissue is the inflammatory phase. By taking the medication that can interfere the inflammation, you actually decrease tissue healing that takes place after your workouts. This is counterproductive, think about how hard you work to stay on pace during those last couple of miles during your hard workouts. It would seem you would want to maximize your recovery benefit, as well. There’s a study that actually show that NSAIDs decrease the effectiveness of the recovery process and in effect decrease the effectiveness of your workouts. As long ago as 1986, there’s a study that actually showed that NSAIDs appeared to interfere with recovery for muscle strains. Your hard-run workouts are really nothing more than controlled induction of muscle strains. Of course when your muscles respond to these workouts, they heal and it increases your muscle strength and your overall fitness. If you interfere that process you don’t get the maximum bang for your workout buck. Twenty years later, another study actually show that NSAIDs also impaired strength and interfered with tendon-to-bone healing. This is important for any runner triathlete with tendonitis, Achilles tendon injuries, perennial tendonitis, posterior tibial tendonitis, they all have the potential to completely halt your marathon training. If you have any tendon pain, then you need to heal as quickly as possible. You have to the treat problem by seeing a running-specialized physician instead of just covering up the pain. The other thing is that NSAIDs can damage your kidneys. Your kidneys are metabolic waste removal machines. They basically filter the blood and get any byproducts out of there. They also clear NSAIDs from your bloodstream. When you exercise hard, your blood flow is actually diverted from your internal organs out to the muscle groups that are working hard. Runners know this best in terms of limited capacity to eat while running. Because of the reduced blood flow in your digestive tract, you might get a gastric revolt if you eat too much during a strenuous run. The same sort of decreased organ blood flow that happens in the kidneys, but you don’t get any warning, like you do when you have nausea when it attacks your stomach. The problem with this is that studies have actually shown that during sustained exercise, NSAIDs can decrease renal or kidney function and increase the risk of developing hyponatremia and acute renal failure. There was one study that reported 79 to 80 % of cases of acute renal failure with a sudden kidney failure, they’ve been associated with NSAIDs used before or during the marathon. To make matters worse, consider that many marathon runners and aching triathletes will actually take over-the-counter Ibuprofen pills that are only 200 mg but they’ll take them at prescription strength doses 800 or 600 mg. Taking big doses when you are exercising, and potentially dehydrated, further increases your risk of kidney overload and kidney damage. While NSAIDs can be great in the right circumstances, they have to be respected. The key takeaways here are that non-steroidal inflammatory drugs really can help reduce inflammation in the initial phases of plantar fasciitis but only if you take them consistently. 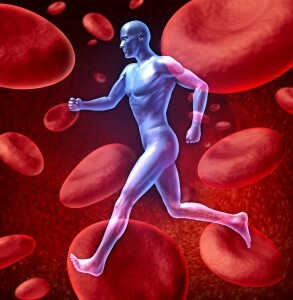 They should never be taken while exercising or you can really risk damaging your kidneys. If you’ve been suffering from plantar fasciitis for months there is probably no benefit at all to taking them and don’t start taking any prescriptions strength dose without medication even if it’s an over counter medication like Ibuprofen without talking to your doctor first. This is especially true for runners. Although NSAIDs can be good drugs in the right circumstances they have to be respected and if you really want to get the most of your recovery and the most strength gain possible from those hard workouts, you don’t really want to take them. Fight the temptation to relieve the pain from Ibuprofen. Otherwise you might find yourself wearing a hospital gown under that finishers medal. Everything in this podcast will be directed at helping injured runners get questions answered that they cannot seem to get answered anywhere else. If you have a question that you would like answered as a future edition of the doc on the run podcast, email me PodcastQuestion@docontherun.com. 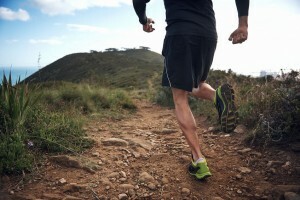 «« Can home treatment heal runner’s heel pain?